Information presented on this website is considered public information and may be distributed or copied, unless specifically noted otherwise. This website is maintained by NOAA’s National Marine Fisheries Service (NOAA Fisheries). Please note the web policies and disclaimers below. We are committed to making our web pages and supporting electronic documents accessible to the widest possible audience, including individuals with disabilities, in accordance with Section 508 of the Rehabilitation Act. Section 508 is a federal law that requires agencies to provide individuals with disabilities equal access to electronic information and data comparable to individuals without disabilities, unless an undue burden would be imposed on the agency. The Section 508 standards are the technical requirements and criteria that are used to measure conformance within this law. More information on Section 508 and the technical standards can be found at Section508.gov. If you require assistance or wish to report an issue related to the accessibility of any content on this website, please send feedback so that we can better help you. NOAA Fisheries does not endorse the external websites we post or the information, products, or services they contain. NOAA Fisheries does not exercise any editorial control over the information you may find at these locations. NOAA Fisheries’ reference to any non-government entity, product, service, or information does not constitute an endorsement or recommendation by NOAA, our field offices, or employees. NOAA Fisheries is not responsible for the contents of any external web pages referenced from NOAA Fisheries servers. Be necessary for presenting agency information or performing agency functions. Provide accurate, relevant, and complete information. Remain active and continue to provide information that is objective, useful, and reliable for visitors to our website. Government information presented on government websites is in the public domain meaning it can be freely used for non-commercial, scientific and educational purposes. 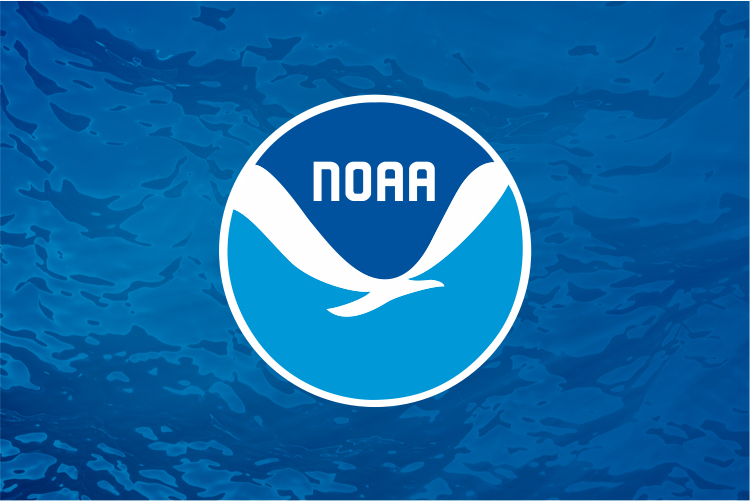 If you are copying or downloading NOAA Fisheries information, products, or publications, we request that NOAA Fisheries be given appropriate acknowledgement (“Courtesy: NOAA Fisheries”). When necessary, we post externally produced materials including text and graphics with permission from the copyright holder. Read below for additional guidance on using website text, graphics, and photos. Most of the text found on our webpages or in publications for download is in the public domain. We identify copyrighted text when used. Please note that copyright material may not be used in whole or in part without the express written permission of the copyright holder. To obtain information and permissions, send an inquiry to the point of contact on the webpage where the requested text appears. For reference, please include the webpage URL in your inquiry. Contact the NOAA Fisheries Web Editor-in-Chief if no other contact is listed. Any NOAA images on our website are in the public domain and may be used without permission, but not all images on this site are credited to NOAA. If you use NOAA images from our website, we ask that you credit “NOAA” as the source. Please note that some images on our site might be credited to other organizations or individuals and are noted as such. Permission to use these images should be obtained directly from those organizations or individuals. NOAA Fisheries grants permission to use graphics on a case-by-case basis. Some graphics are public domain, and some are used by NOAA Fisheries with specific permission granted by the owner. Others are created by NOAA Fisheries contractors. (For example, most of our website's species illustrations are by Jack Hornady and a few southeast species illustrations are by Diane Peebles.) Therefore, graphics found on our website should not be reused without permission. Copyrighted material may not be used in whole or in part without the express written permission of the copyright holder. To obtain information and permissions for a specific graphic, send an inquiry to the point of contact on the webpage where the requested graphic appears. For reference, please include the webpage URL in your inquiry. Contact the NOAA Fisheries Web Editor-in-Chief if no other contact is listed. Please note that when we grant the right to use a graphic from the NOAA Fisheries website, it cannot explicitly or implicitly convey NOAA Fisheries' endorsement of the site where it is used. If a NOAA Fisheries image includes an identifiable person, using the image may infringe upon that person's right of privacy or publicity, and permission should be obtained from the person. Once you receive confirmation from us that a graphic is available for use, we request that you credit NOAA Fisheries. The NOAA seals and agency identification cannot be used without written permission from the agency. Some products and manufacturers are mentioned in descriptive information or in metadata records. Mention of these products or manufacturers does not constitute an endorsement by NOAA or DOC.